Of all the terms that Americans define themselves as members of society, few are as elusive as 'middle class'. This book traces the emergence of a recognizable and self-aware 'middle class' between the era of the American Revolution and the end of the nineteenth century. The author focuses on the development of the middle class in larger American cities, particularly Philadelphia and New York. He examines the middle class in all its complexity, and in its day-to-day existence - at work, in the home, and in the shops, markets, theaters, and other institutions of the big city. 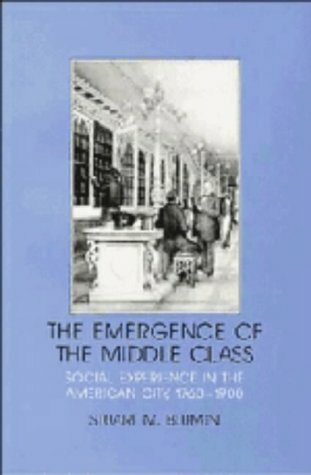 The book places the distinct language of class - in particular the term 'middle class' - in the context of the concrete, interwoven experiences of specific anonymous Americans who were neither manual workers nor members of urban upper classes.